Just in case some of you actually think you'll have a job next year, mark your calendars for more of the same. Higher deductibles, 45 day OEP rush, and network crackdowns. 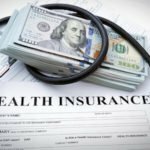 On November 20, the Department of Health and Human Services (HHS) issued proposed regulations that address a wide range of Affordable Care Act (ACA) benefit provisions that will be effective for 2017 plan years. These rules are published each fall and finalized the next spring for the following plan year. 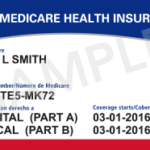 On the same day, the Centers for Medicare & Medicaid Services (CMS) posted the draft 2017 Actuarial Value Calculator, along with the 2017 Methodology and User Guide. Links to the calculator and related documents can be found at the end of this alert. Here is an overview of some of the key provisions in the proposed regulations. The proposed 2017 annual out-of-pocket maximums are $7,150 for individual coverage and $14,300 for family coverage. The 2017 enrollment period will follow the same timing as 2016 enrollment: November 1, 2016 through January 31, 2017. The proposed rules suggest changes to the automatic re-enrollment process when the plan in which an individual is currently enrolled is no longer available. 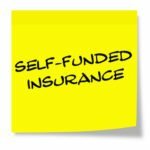 Individuals who had been enrolled in a silver plan that is no longer available would be auto re-enrolled in the most similar silver plan product offered by the same insurer, rather than in a different metal level in the same product. The fee insurers pay to sell individual policies through the Marketplace will remain at 3.5% of the monthly premium. The rules propose several changes related to network adequacy requirements for plans sold on the Marketplace. Treating certain out-of-network expenses as in-network – Insurers offering plans in any Marketplace would have to provide individuals at least 10 days’ notice prior to a procedure at an in-network facility if the individual might receive out-of-network services, for example from an out-of-network anesthesiologist. If the notice is not provided, the individual would be allowed to count the out-of-network cost sharing against his or her in-network out-of-pocket maximum. Standards for network coverage – The rules would establish provider network adequacy standards for health plans in the federal Marketplace. These standards would cover factors such as consumer travel time and distance to providers. HHS is also considering creating standards for identifying network a strength to improve transparency for consumers. Coverage when provider leaves the network – The rules would impose new continuity-of-care requirements in the federal Marketplace. Insurers would have to provide 30 days’ notice before discontinuing a network provider. If an individual is receiving active treatment, the insurer would have to cover continuing care for up to 90 days or until treatment is completed. State Marketplaces that use HealthCare.gov’s technology for eligibility and enrollment will be known as state-based exchanges on the federal platform (SBE-FPs). States will retain primary responsibility for plan management and consumer assistance while using the federal enrollment system, including certain call center services. This model is intended to make the transition easier should additional states decide to move to HealthCare.gov in the future. The proposed regulations modify the requirements that apply to navigators. 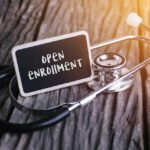 Navigators would be required to provide post-enrollment assistance for functions such as Marketplace eligibility appeals, application for exemptions through the Marketplace, and transitioning from coverage to care. The proposed rules request comments on standards that would allow insurers and web-brokers to directly enroll individuals in the Marketplace while remaining on their own website. HHS proposes a new employee choice option on the SHOP Marketplace for small employers. Employers can currently offer their employees a single plan or the choice of plans within a metal level. Under the new “vertical choice” model, employers would be able to offer employees a choice of all plans across all available levels of coverage from a single insurer. We encourage you to bookmark Cigna's health care reform website, Understanding Health Care Reform | Cigna, where we continuously update information as it becomes available. Group health insurance and health benefit plans are insured or administered by Cigna Health and Life Insurance Company, Connecticut General Life Insurance Company (CGLIC), or their affiliates (see a listing of the legal entities that insure or administer group HMO, dental HMO, and other products or services in your state). Group Universal Life (GUL) insurance plans are insured by CGLIC. Life (other than GUL), accident, critical illness, and disability plans are insured or administered by Life Insurance Company of North America, except in NY, where insured plans are offered by Cigna Life Insurance Company of New York. All insurance policies and group benefit plans contain exclusions and limitations. For availability, costs and complete details of coverage, contact a licensed agent or Cigna sales representative. If you no longer wish to receive promotional emails from Cigna, you can unsubscribe. They are dreaming! How is a health plan supposed to notify you within 10 days of a procedure if one of your providers (such as an anesthesiologist) may be out of network? Unless it's a complete pre-auth, referral-only type of HMO, how would the carrier know? Crystal ball? I love the "standardized" benefit plan ideas. So, let's see if I've got this right. Carriers can mirror each other exactly, or not mirror each other, or both. Yeah. Uh, let's see.... We'll choose "not mirror each other" for $500 Alec. And lastly, what gives the administration the right to do this? Oh, wait. I said, "lastly" already, but I have one more. It's nice to see that the Exchanges still get their 3.5% commission... uh... errr, I mean "fee" for every plan sold in its Insurance Agency.... uh.... errr, I mean government entity. lol @ that whole list, especially the network adequacy standards. It doesn't really matter, by 2017, unless the Administration caves in and covers all potential losses, why would any insurance company want to take on this mess when they know upfront it won't be profitable? Forget 45 days....there is NO way we are getting rates prior to election day. Plan on a 30 day OEP, folks. I did like the Navigator req't to offer "post enrollment support", though. My thoughts exactly. Commission on Marketplace plans will be -5% across the board by then anyway. I'm out - I'll be telling my on-exchange people that they need to pay close attention to how we enroll this year, since they'll be on their own next year. . . . If people want coverage, I send them straight to my link at Healthsherpa and I do not touch a thing. I do not upload, help make first payment or anything else. Here's the link, pick what you want and watch the mailbox for further instruction. SEBELIUS - Preparing to Dictate a Contraceptive Mandate. Dems Preparing for Solo Flight?